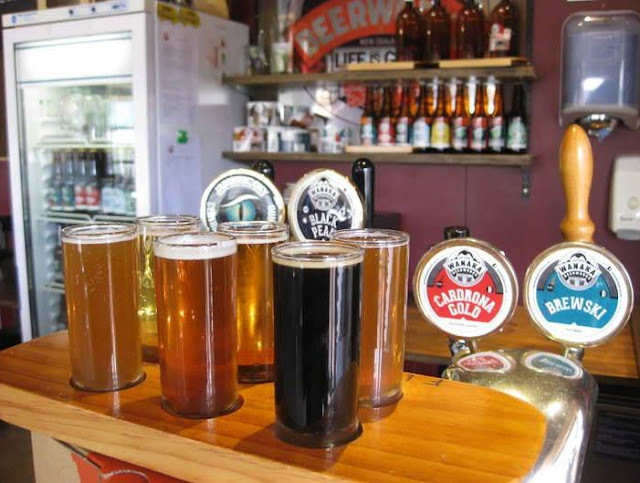 The months of December to March bring the full flush of summer to the islands of New Zealand and you could be excused for thinking that the thoughts of Kiwis (the informal name for New Zealanders) revolve entirely around food and drink. In every corner of the country, from big events with celebrity chefs to weekend markets to community gatherings in parks and village halls, there are celebrations of local food specialities and the tastes of summer. Christmas in New Zealand is often celebrated with backyard barbecues and the holiday season, when many New Zealanders take their annual break, is a further spur for enjoying the great outdoors. At this time of year too the rugby-obsessed nation switches its attention to cricket and tennis and national and international tournaments draw big crowds. For the athletically inclined, New Zealand's magnificent landscapes provide multi-sports challenges including some of the most gruelling endurance events in the world. Kiwis of course like music and the arts – and they like nothing better than adding them to the other ingredients of summer in outdoor festivals. If you are travelling in New Zealand between December and March, visiting seasonal festivals and celebrations is a wonderful way to connect with Kiwi culture. The listing of events below is just a sample of what's going on. Travellers, like armies, march on their stomachs and if you are journeying around the South Island this annual outdoor food event in Christchurch's Hagley Park is an excellent way to sample local fare and taste wines from the regions of Marlborough, North and Central Canterbury and Central Otago. The festival programme includes wine seminars, food trucks, a cooking theatre and live music. After a sold-out success in 2017, Wanaka's celebration of fine New Zealand craft beer is back for the third time, bigger than ever and showcasing the offerings of six local producers in Otago and six guest breweries from as far afield as Blenheim and Auckland. The family-friendly event (for anyone over 18) also serves up barbecue food and live music. New Zealand’s national museum, Te Papa Tongarewa, is hosting a touring exhibition from China that gives locals and international visitors the chance for a close-up look at some of the world-famous terracotta warriors who guarded the hidden tomb of China’s First Emperor for more than 2,000 years. 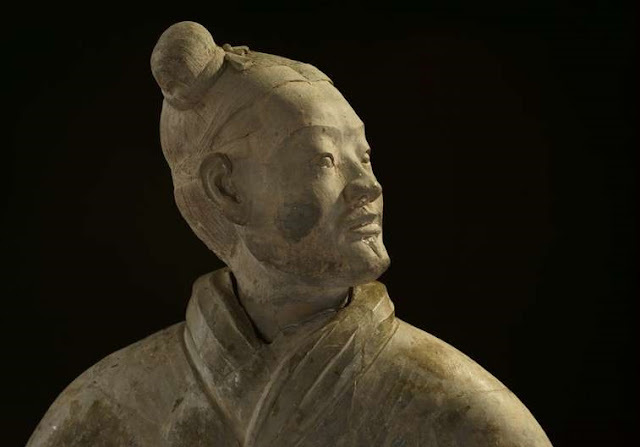 The show features eight warriors and two full-sized terracotta horses as well as two half-size replica bronze horse-drawn chariots, accompanied by extravagant treasures from imperial tombs in China’s ancient capital of Xi’an. For six weeks every year, New Zealand's leading light festival transforms 52-ha Pukekura Park in the city of New Plymouth on the west coast of North Island into a night-time wonderland. The free event attracts over 100,000 visitors to its programme of daytime activities, evening entertainments and innovative lighting designs by New Zealand artists. The first annual Lego Exhibition to be held in the South Island city of Nelson brings together Lego fans and builders of all ages for an exhibition of 23 constructions and collections, with proceeds from the $2 entrance fee going to the St Joseph's School fund. The event is expected to grow; remember you read about it here first! The largest music and camping festival in the southern hemisphere takes place every new year in the Waiohika Valley near Gisborne on the east coast of North Island. 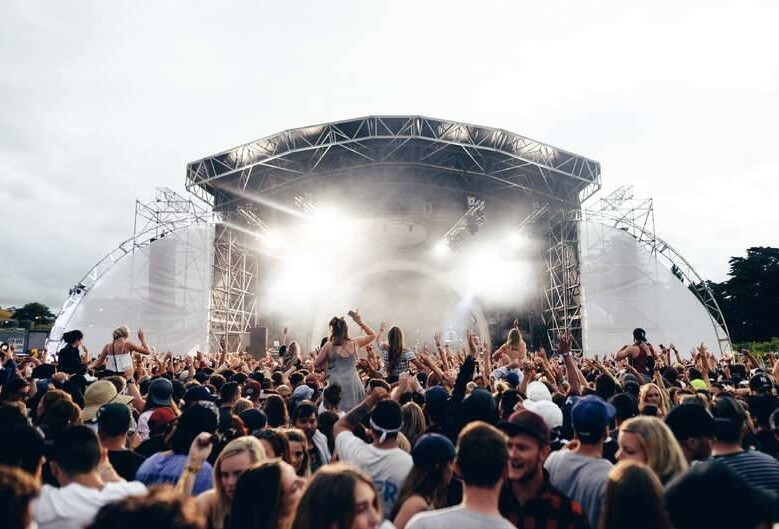 The first new year destination in the world to see the sunrise, Rhythm and Vines offers its 30,000 attendees 100-plus acts on five stages during three days of performances. 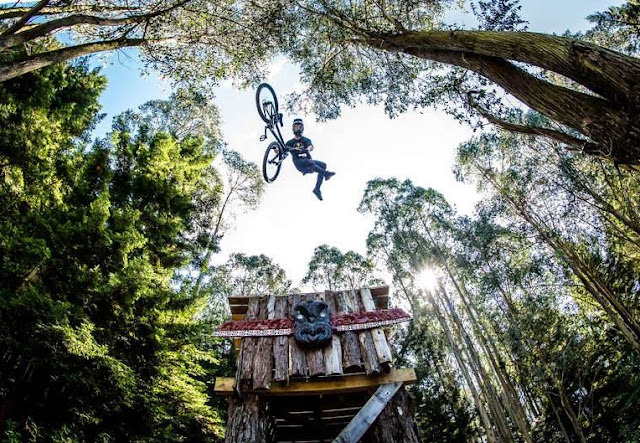 The event has a South Island counterpart, Rhythm and Alps, held in the Cardrona Valley near Wanaka from 29 December 2018 to 3 January 2019. If you like your music festivals more boutique-sized, Whare Flat attracts national and international folk music performers and fans to the picturesque surroundings of the Waiora Valley near Dunedin. The relaxed, family-friendly event includes workshops and performances and dance and jamming sessions. Held in the home of New Zealand's best stone fruit, the Cromwell Cherry Festival celebrates the first delicious offerings of the season. It is also a unique event where contestants compete to spit a cherry stone the furtherest. The ASB Classic is New Zealand's premier tennis event, attracting world-class competition and some of the sport’s biggest names. Off-court, the venue near downtown Auckland offers a range of sophisticated cafes, restaurants, lounges and entertainment. Pack a picnic or hire a mini marquee and get set for a day of thrilling harness and thoroughbred racing, with free kids’ entertainment and live music. The racing club at Tauherenikau is 150 years young and a complimentary bus service takes visitors to and from Featherston train station on race days. It’s a true piece of New Zealand rural life. Reimagined and revitalised for 2019, the Bread & Circus - World Buskers Festival amplifies Christchurch’s much-loved buskers’ festival with a programme of top-of-the-line local and international street performers, comedians, fringe artists, musicians and visual artists. With performers like Daredevil Chicken Club, The Miss Behave Gameshow and Mother’s Ruin, audiences should expect the unexpected. Definitely not for the unfit or the faint-hearted, The Revenant is New Zealand’s first Ultra Adventure Run where not finishing is a likely outcome for almost all competitors. Set in iconic New Zealand high country terrain with alpine tussock lands, beech forests and everything in between, the 190km-plus course with over 32,000 feet of vertical changes must be navigated only by compass and map. The local and international competitors include army and police personnel and US Navy Seals. 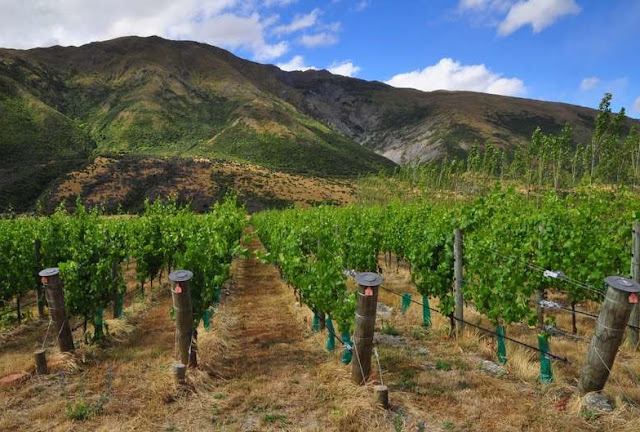 Gibbston Valley Winery’s ninth annual summer concert brings the past to the present in 2019 with performances from Supertramp’s Roger Hodgson, James Reyne (Australian Crawl) and Mark Seymour (Hunters & Collectors), and Toni Childs. There’s also VIP packages including helicopter transfers to the outdoor venue next to the winery, stalls by food producers from around the district, and of course Gibbston Valley Wines. A free, fun family event with food stalls and boat races, the Picton Maritime Festival is an annual celebration of the unique maritime heritage of Picton and the Marlborough Sounds. The town at the head of Queen Charlotte Sound has an iconic place in New Zealand life as South Island’s interisland ferry port. The glorious watery maze of the sounds was Captain Cook’s favourite place in New Zealand, and perhaps the world. Set in a rural reserve with an adjacent ocean beach, Soundsplash is an eco-conscious, family-friendly music festival run by music lovers for music lovers. Covering all bases when it comes to genres, Soundsplash attracts well-known international performers and Kiwi artists who are making their mark. 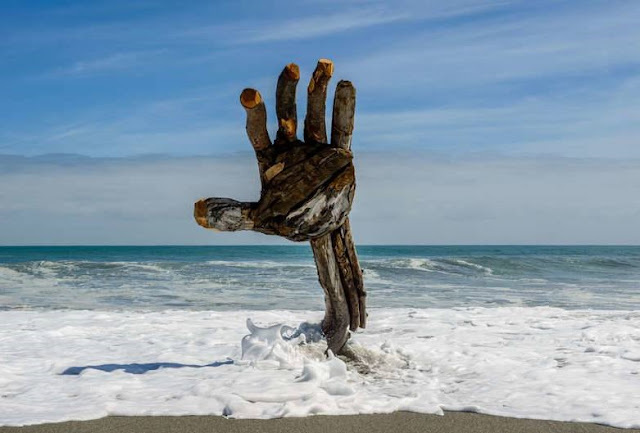 Driftwood & Sand is a community art celebration in which artists and novices of all ages express themselves using any materials they find on a driftwood-strewn ocean beach. The nearby town of Hokitika (made famous in Eleanor Catton's Man Booker Prize-winning novel, The Luminaries) on the South Island's West Coast has a rich history dating back to the gold-mining era of the 19th century and as a traditional source of pounamu (New Zealand jade) for Māori. For followers of New Zealand's world-champion rugby and cricket sides, 25 January will be a day to remember as All Blacks and Blackcaps players take part in a friendly T20 cricket match at Hagley Oval. The teams are packed with sporting superstars keen to show off their talents with bat and ball and lifetime bragging rights on the line for the victors. The first-ever crime writing festival held in New Zealand takes place in the suitably atmospheric setting of a city with hot geothermal springs and pools of boiling mud. Authors from Australia, Iceland, Finland and Scotland and New Zealand will participate in public panel discussions, interviews and creative workshops. After a stellar start in 2018, the Waikato city of Hamilton will again host the New Zealand leg of the HSBC World Rugby Sevens Series in 2019. A major highlight on the summer sporting calendar, the Sevens games are typically colourful and vibrant with rugby fans flocking in fancy dress for a carnival-like weekend of partying and fun. Tickets sell out quickly. Auckland's waterfront is the setting for a three-day experience of Māori culture. The festival includes performances by Māori musicians, kapa haka (song and dance) groups, and waka (canoe) sailings on the water. You can also enjoy typical Māori dishes (kai) and visit stalls selling authentic Māori arts and crafts.